The best space for events in Gramado! The Hotel Saint Andrews Gramado, a great icon of luxury hotels in Brazil and with several international awards, inaugurates a new space to bring even more diversity of attractions to guests, right next to the main building, Saint Andrews Mountain. One of the hallmarks of this new phase is the charming downstairs event center designed especially for corporate and social events, as well as wedding ceremonies, mini weddings, wedding ceremonies, anniversaries, debutant's party, vow renewal and corporate meetings . With a capacity of up to 150 people, there is an upper floor with two rooms, one of them for lectures and another for meetings, including all infrastructure for teleconferences. These two rooms can also be united, transforming into one environment. The white porcelain floor and the soft colors on the walls contrast with the sophistication of the six Crystal Maria Tereza chandeliers imported from the Czech Republic. The neutral tones applied in the decoration were designed precisely to not interfere with the external landscape, the great differential of the space and so that the contractors of the events can have freedom and creativity to decorate the hall according to the type of ceremony conceived. Another novelty is the Mirante Mountain, built on top of the new event center overlooking the Quilombo Valley. The attraction is an extension of the upper balcony of the event hall. The sensation is of floating in the mountains, a dazzling look of one of the main postcards of the Serra Gaúcha. Built in the form of a gazebo, an exclusive restaurant was built, which could also be used to make your event even more complete, literally hovering over the clouds and right in front of the Quilombo Valley. Practically nestled in the mountains, Saint Andrews Mountain provides a unique feeling of well-being and contemplation in one of the most beautiful regions of the State of Rio Grande do Sul. 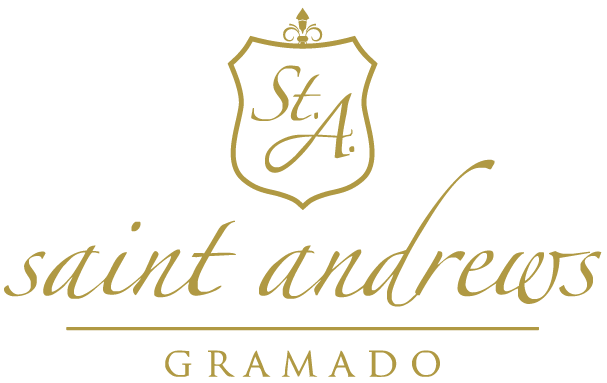 Remember that Saint Andrews Mountain is an extension of the already established Saint Andrews Castle and makes part of a single complex, therefore with the same concept of refinement, service and sophistication of a legitimate Relais & Châteaux. Come and meet the brand new Saint Andrews Mountain!